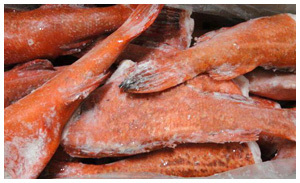 Marine Ptroducts Dept.｜KIBUN TRADING, INC.
Home >> Business >> Marine Products Dept. 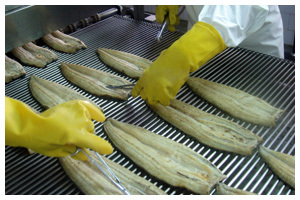 We supply products which our staffs directly "look", "touch" and "inspect" in producing area. Tuna from Indonesia. Hamachi from Kagoshima. 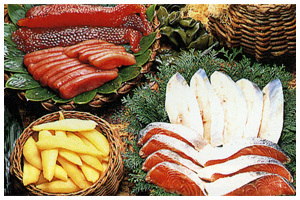 Frozen Fish from Asia, etc. 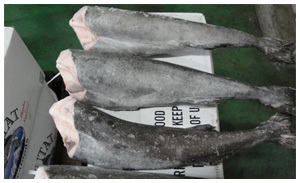 We are handling Squid, Mackerel, Sardine, Horsemackerel, Black Cod, Rock Fish and etc from world ocean. We are purchasing carefully selected raw materials and process them only in the plant approved by HACCP and ISO located in China and Taiwan in order to handle the products of "SAFETY AND SECURITY" alone. 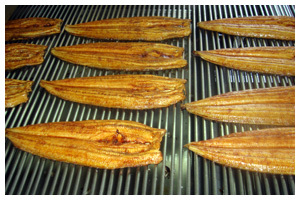 Copyright (C) 2011 KIBUN TRADING, INC. All rights reserved.